There are a few hostels and hotels in Tupiza, Bolivia. 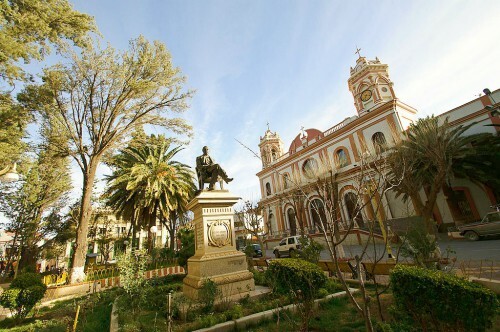 Tupiza is a small city of about 25,000 located in the extreme southern section of the department of Potosi. Although very remote, it has become one of the main gateways into Bolivia overland from Argentina, especially for those planning to visit the Uyuni Salt Desert. It is located in an arid, and rugged area. If you’ve already found a hotel or hostel you love, or one you don't recommend, tell us in our Bolivia Hotel Review. Below is a list of hotels in Tupiza. Check for them on Tripadvisor and Trivago. If they aren’t listed, you’ll need to make a reservation directly.